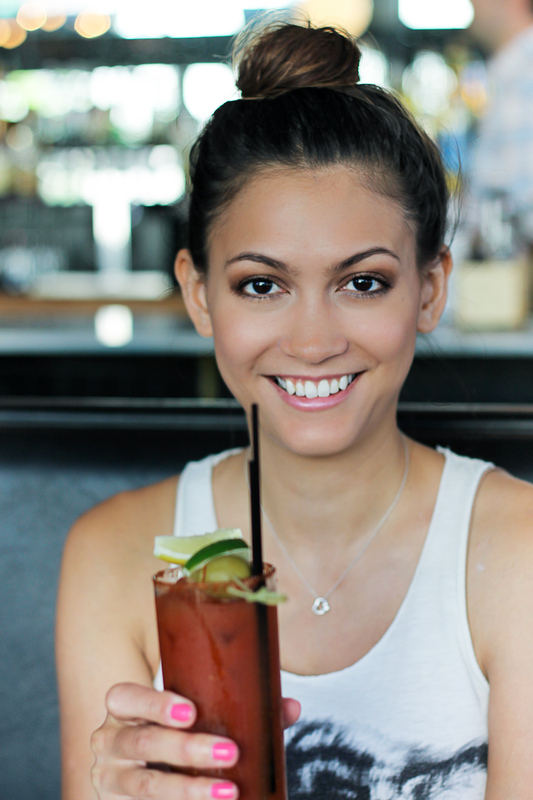 60 in 60 Challenge Complete: 60 Days, 60 Bars, 67 Seattle Bloody Marys. Still no celery. This wasn't just a fluke. Out of all 67 bloody marys that I drank, a rough look at my notes shows that only 7 bloody marys were served with a fresh celery stalk and 2 more came with a pickled celery piece. I know you have celery, Seattle. Just give me the damn celery! Creativity abound. Sure, there are definitely quite a few places using a straight bottled bloody mary mix. But for those that chose to treat the bloody mary as a true craft cocktail, the creativity was wild. Infused vodka ranged from lemon-horseradish, cucumber, rosemary, and pepper to bacon and even salmon flavored. Flavor profiles included classic, Asian, Creole, BBQ, and seafood inspired mashups. Garnishes included everything from a standard bar olive to seaweed, pickled beet, smoked brisket and bacon jerky. Be prepared to shell out. With the exception of a very few places (and the awesome unlimited bloody mary deal at The Maple Bar), Seattle bloody marys are damn expensive. Just this week, I paid $9 for an egg sandwich, and $10.50 for a bloody mary. It was a damn good bloody mary, but still, the point stands. Unless it's blowing my mind, I find it very difficult to pay more for my drink than my breakfast. Below is my list of Seattle bloody marys from the last 30 days. As far as standouts go, I can definitely recommend The Maple Bar (bottomless mimosas and bloody marys for $14), Lowell's (5 different bloody marys), Sun Liquor Distillery, Wayward Vegan Cafe and, of course, Sam's Tavern. Close behind are Cafe Flora, Cactus, Joule, Taylor Shellfish and Seatown Seabar. For a list of places I visited during the first 30 days, check out this blog post, "60 in 60 Seattle Update: 31 Days, 33 Bars, 38 Bloody Marys." August Giveaway: Win a Bloody Mary Book Bundle!